My parents and I had a fantastic Jazz Night Out when we saw “Tony Hagood Presents The Music of Horace Silver” at the McConnell Arts Center on January 25th. Pianist Tony Hagood and his all-star ensemble shared a loving tribute to one of the true jazz greats. The bright bop of “Sister Sadie” got the night started, with trumpeter Anthony Stanco’s tone ringing clear as a bell, Hagood offering a charging solo turn, and bassist Bradley Mellen turning in the first of his warm and physical featured passages. “Pretty Eyes” was a graceful, deliciously syrupy waltz, as saxophonist Michael Cox’s solo was agile as it gained momentum, and Hagood’s lines were poetic and ascendant. The group rendered ballad “Out of the Night Came You” elegantly, with a beautiful Hagood intro giving way to a thick, luxurious melody. After great spins through “Doodlin” and “Mayreh,” the latter featuring a smashing solo by drummer Reggie Jackson, “Cookin at the Continental” ended the first set on a high note, with Hagood charging out front and setting up smoking, well-synced horn lines. 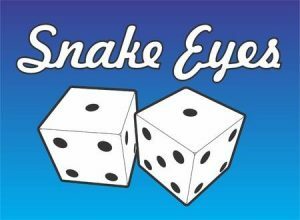 Keep reading for more thoughts on the show and previews of “Let’s Roll Snake Eyes,” Richard Lopez, and Dave Powers! Lovely standard “Nica’s Dream” opened the second set in an unusual setting – a bass-forward arrangement requested by Mellen. His bowed melody was smooth and textured, and his solo was a bit of an exotic departure using the bow – it was eye opening to hear an old favorite in a brand new light. The horns were once again hitting hard on “Opus De Funk,” with big solos including Hagood’s pulsing, simmering turn and a humorous connection between Mellen and Jackson. The legendary hit “Song For My Father” was rendered in its classic Caribbean feel, with Cox and Hagood’s solos expertly maintaining the vibe and Jackson coming through big on his solo breaks. “The Preacher,” another well-titled classic, ended the night with joyful gospel gusto, big solos from the ensemble and an enthusiastic jam finale. It was another great Jazz at the MAC concert from Hagood and crew – check out his exciting next installment celebrating modern jazz, “Jazz Today!” on March 8th (tickets here)! Sunday, February 3rd (3 – 5pm): Jazz Masters Series: Richard Lopez Presents “Boss Tenors, Live from Cbus” at Columbus Museum of Art. Maestro Lopez’s CMA series returns for the new year with this musical celebration “inspired by the famed recordings of Gene Ammons and Sonny Stitt.” Master tenor saxophonists Pete Mills and Michael Cox “will engage in a friendly saxophone duel, in the spirit of the famous Harlem ‘cutting contests,’ on many wonderful standard blues, ballad and swing favorites.” Lopez will be joined in the rhythm section by John Allen on bass and Zach Compston on drums. Tickets and more info are available here for a Columbus twist on a fun jazz tradition. Also of note: Lopez plays his weekly trio gig with Roger Hines and Aaron Scott at Black Point on Friday at 6:30pm, and will be presenting a jazz (with Hines and Scott) and classical faculty piano recital at Otterbein University, in Riley Auditorium in Battelle Hall, on Sunday, February 10th at 2pm (more info here). Sunday, February 3rd (5:30 – 8pm): House Jazz Concert Series: Dave Powers Trio with Anthony Stanco at Clintonville Woman’s Club. The only jazz show (we know of) directly competing with the Super Bowl offers a spirited respite from sports spectacle for hungry jazz fans. Powers is getting the 10th year of his House Jazz Concert Series started with OSU Jazz Studies faculty trumpeter Anthony Stanco (stay tuned for info on more Stanco concerts next week). This event will delve into “the history of jazz trumpet from Louis Armstrong to Dizzy Gillespie, Miles Davis, Clifford Brown, Lee Morgan and Nicholas Payton.” More info is available here for an enlightening and entertaining option for Super Sunday!